G’day mates! English Marie here. This week it’s all about Western Australia. Where you’ll the landscapes will leave you breathless and in awe. 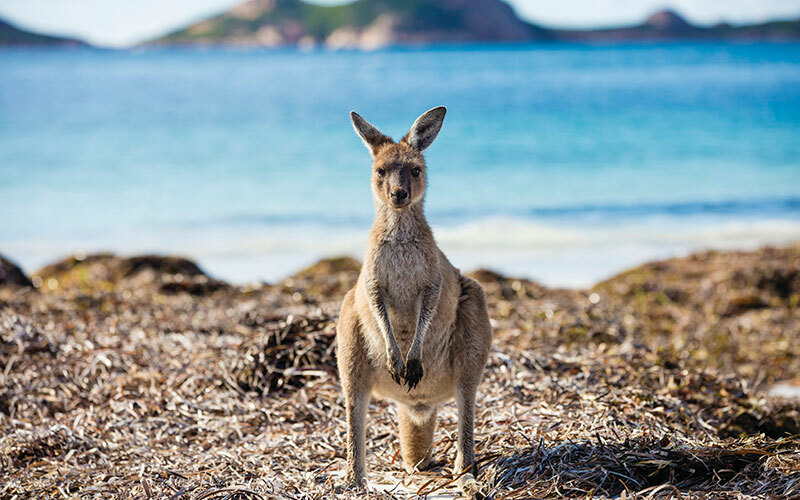 Here you can ride a camel on Cable Beach, sip amazing wine and eat delicious food in Margaret River, swim with the whale sharks and do a small bar tour in Perth. You’re never at a loss for something fun to do in Western Australia. Western Australia is a huge state, it’s literally immense but with a small population, creating an outback destination like no other! Don’t fret, Perth is a buzzing cosmopolitan with a laid back feel and some of the best beaches. While traveling through Western Australia you’re bound to see loads of unique Australian wildlife. Even the casual glance out of the car window will provide you with a rich and wild scene. You may already know about the bottlenose dolphins and migrating whale sharks, however there are many other animals to see, that aren’t commonly known, like the brolga- an elegant and graceful bird that frequents wetlands across Kimberley; or Numbats, a gorgeously striped, endangered marsupial that lives in small pockets of old forest. You may also see the Quokka. This little guy has caused quite a craze in the selfie-taking world. 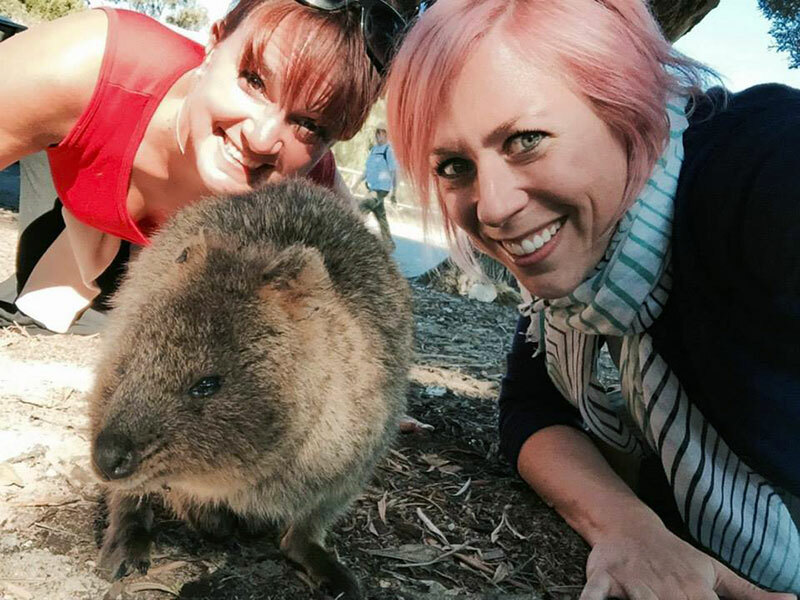 Just search #QuokkaSelfie and you’ll find many a self-portrait bombed by this cuddly looking animal. Western Australia has a rich Aboriginal history, traces of which can be found throughout the outback as well as in galleries. Did you know that Western Australia is one of the most ancient lands on the planet? Over thousands of years Aboriginal people adapted, diversified, and lived a nomadic lifestyle in harmony with the land. These ancient peoples formed more than 700 traditional societies that spoke over 200 languages. They shared their knowledge through stories and rock art. Much of this ancient artwork remains today including the oldest known artworks in the Burrup Peninsula and famous Gyorn Gyorn (also known as Bradshaw) Paintings, found in Kimberly. These paintings are believed to have been created 60,000 years ago, and went undiscovered until 1891. Dating them among the earliest figurative painting ever made! Truly amazing, they spread over 50,000 km of the north Kimberly wilderness, and there are 100,000 art sites in total. After all that art, what’s better than a little wine and delicious cuisine? 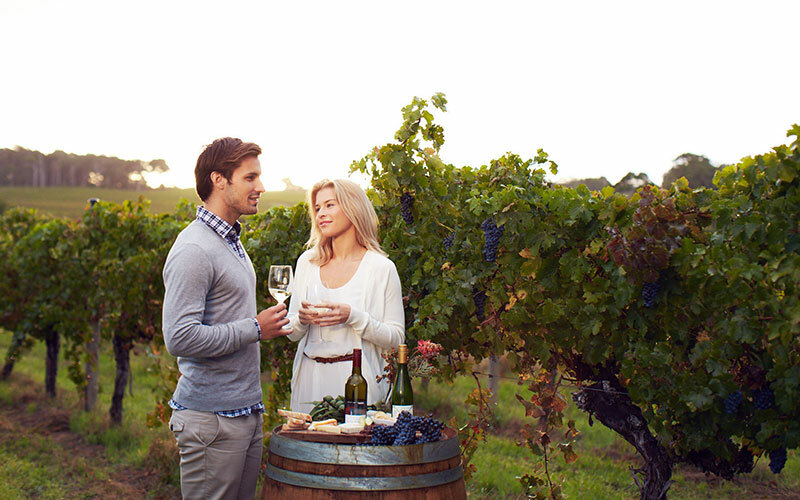 The Margaret River wine region is the best place to find just that. World famous for the its wines, the cabernet sauvignon especially, Margaret River produces 20% of Australia’s premium wines. Which is no surprise, when the region’s climate is similar to that of Burgandy, France! Here you’ll find many small boutique wineries and some larger cellar doors that manage to bring you an intimate feel. While you’re hear, make sure to dine at one of the award-winning restaurants, and don’t forget to try Margaret River’s famous chocolate and homemade fudge and nougat! Check out one of our favorite Margaret River getaways, here. Think it’s time to hit the beach! Looking must-do on your Western Australia trip? 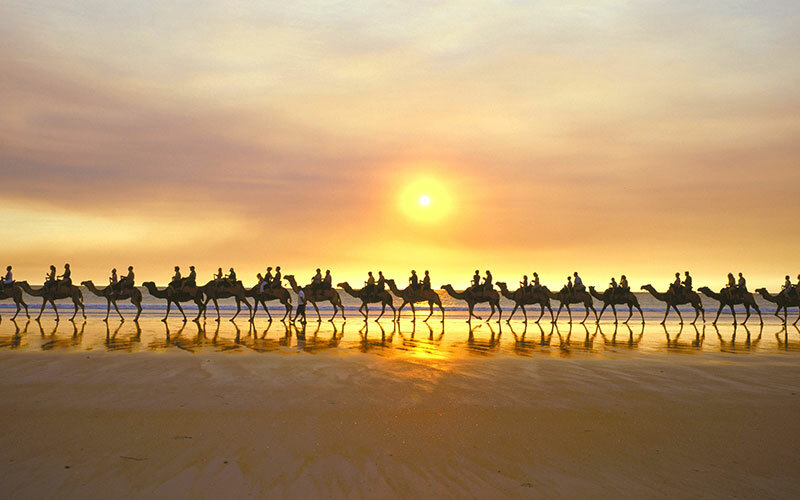 Why not join a camel train on Cable Beach? Located at Broome, this world famous beach is 22 km of sunny white sand, turquoise water and gorgeous fiery red Indian Ocean sunsets. From boat cruises, swimming, surfing, or just sitting and enjoying a sunset drink, this beach is the bees knees. If you’re in Perth, check out the iconic Cottlesloe Beach. Here you’ll find a scene from a postcard- white powdery sand, majestic Norfolk Pines, and hustle and bustle of the boulevard cafes and bars. Cottlesloe is the best spot for swim, surf, snorkel, picnic, sunsets, you name it. Are you ready for your Western Australia vacation? I know I am! Give us a call at 312-951-8517 and speak to an Australia Specialist today! If you’re still dreaming up your next adventure, check out some of our other unique handcrafted itineraries, here.